In the face of more frequent and intense rainfall, dam failures are becoming the norm. What can be done with the underfunded relics? Annapolis, Md.—DJ Buckley spent most of his afternoon on Aug. 3 picking up branches and debris out of the Annapolis Harbor. The debris in the harbor led Maryland Comptroller Peter Franchot to call out Pennsylvania for the amount of garbage and branches in the Susquehanna River, which flows through the Conowingo Dam and into the Chesapeake Bay. Approximately 30 percent of the country's 15,498 high-hazard dams do not have emergency plans. Add in the age and lack of maintenance of many dams, and a flooding disaster is just waiting to happen. 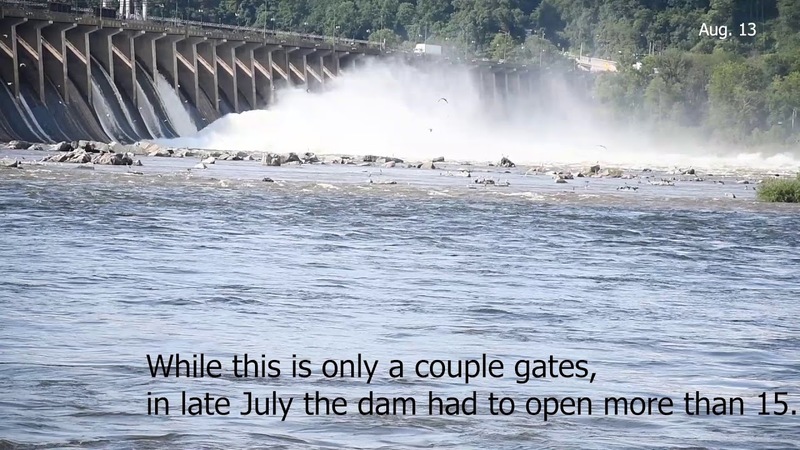 And in many places it has happened—according to the Association of State Dam Safety Officials, failures have occurred in every state, with at least 173 failures between 2005 and 2013.